Samad Siddiqui is currently undertaking a placement at IBM as Enterprise Applications Analyst while studying Computer Science at City. During his time at the placement, he has been lucky enough to develop project management skills and deliver presentations to high-ranking officials within the company. 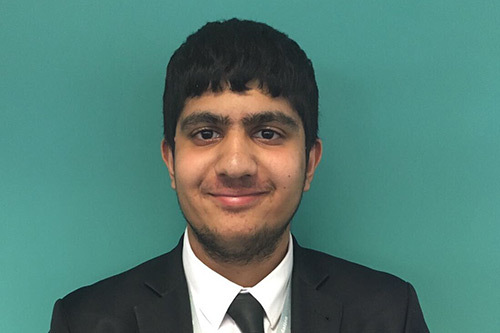 Samad says that the placement has greatly helped him to evaluate future career goals and aspirations. I’m an intern undertaking my placement year at IBM, a multinational technology company specialising in global cloud platform and cognitive solutions. My role at IBM is Enterprise Applications Analyst. The main responsibilities during my placement involve project management for Cognitive Automation within Enterprise Applications, whilst also managing the European opportunity pipeline. This covers a wide range of solutions including SAP, Oracle, Microsoft and Workday, helping to deliver service line communication. What skills have you learned so far during your time at the placement? During my time at IBM, I have had the chance to develop and sharpen many different skills. I learnt how to be a project manager despite having no prior experience and while it was challenging at first, I have a lot of training support. The role includes learning how to manage the European opportunity pipeline partners and associate partners of IBM, which is daunting but rewarding. I also had a chance to sharpen my personal communication skills after being given the opportunity to host my own ‘Smarter Planet’ session for GCSE students. Other skills I’m actively developing include working in fast paced corporate environments, working independently and learning how to manage my time effectively for deadlines. A standout moment for me was when I delivered a presentation to the European Enterprise Applications Service line leader and United Kingdom & Ireland leader on IBM Watson. My manager kindly introduced me to the European leader during my induction where I mentioned to him my interest in learning about IBM Watson and improving presentation skills. I was immediately given the task to deliver a presentation on Watson Healthcare – a topic I had no knowledge on - in just two weeks! As I stepped out of his office, I felt like I had dug myself a big hole… however the whole experience made me much more confident in my ability to deliver important presentations. I would highly recommend everyone to pursue a placement! The first-hand experience has allowed me to re-evaluate what I want to do in the future. Before joining IBM, my plan was to pursue a career after graduation which involved programming. After five months at IBM my goals have now changed and I am open to applying for other roles such as consulting or even going into cyber security. This was only possible due to the fact I gained first-hand experience!